Bubble Gum is my favorite flavor so far of the ones I’ve tried, but they’re all amazing! These syrups are incredible. A little bit just to relax, or a little more to knock out for the night. Amazing sleep, extremely helpful for anxiety / insomnia, I’ve been recommending it to everyone. I got this for my mom after knee surgery and she told me this is better then any pain meds the doctor wanted to give her. Perfect from the bottle or mixed with anything. Leaves you relaxed, no anxiety, and pain free. Oh my god, it is the best ever! You must order this right now, not kidding!! 🙂 Loved it so much and if you can afford to purchase the variety pack that is also a must!! 😉 Go right now! I love this stuff! I have bad insomnia a lot of times and I just take a big sip or two and smoke some flower and I sleep like a baby. The flavor is good but I look forward to trying something else too. I definitely recommend this. First time using this. Great product. I must say that I may have to start the subscription plan. I can stop buying this syrup. My favorite flavor to date, gonna try watermelon next! Love the taste, and you can mix it in your favorite drink. Really helped with some mild pain I was having. Amazing medicine, would highly recommend!! After taking a swig I started to feel relaxed after just a few minutes. Ended up sleeping amazing every night I drank it before bed. 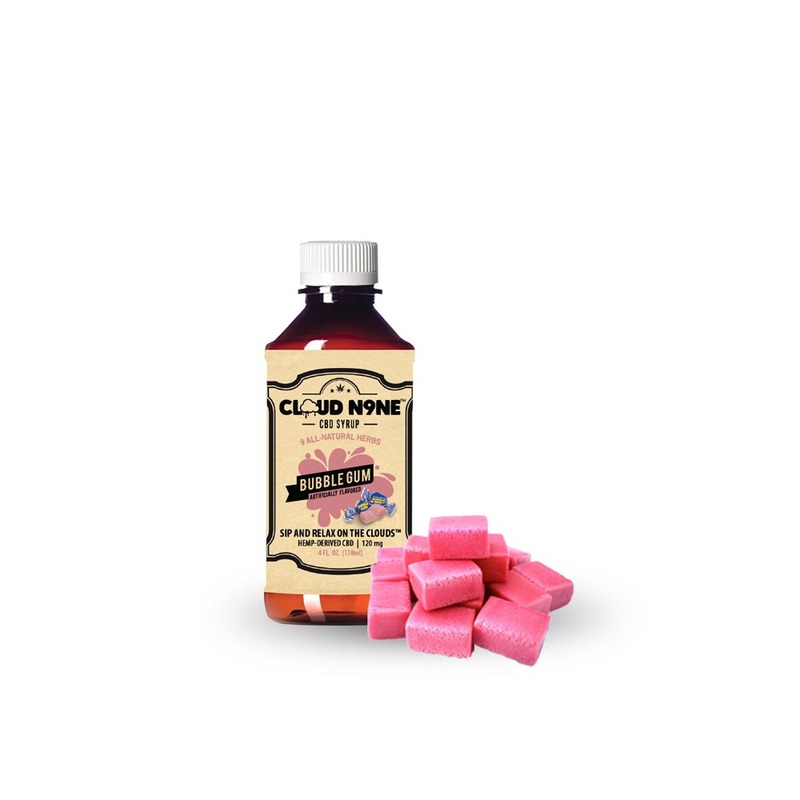 The Cloud N9ne Bubble Gum syrup was delicious!! I personally love the flavor of bubble gum so I enjoyed it mixed with sprite very much!! Will buy again. The taste! I never thought the taste would be so authentic, but this has surpassed my expectations. This is by far the best tasting of all cloud 9. Helps with anxiety and insomnia I experience when trying to sleep. Love this product!